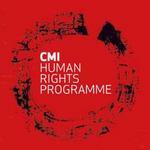 The Human Rights programme at the Chr. Michelsen Institute (CMI) celebrated its 25th anniversary in 2008. To mark this event, an anniversary symposium was hosted at CMI on 4-5 September 2008. The title of the international conference was "Roads to Reconciliation: Transitional Justice in Norway and Beyond". This symposium pursued one of the themes that have been a core research area at the CMI for the past ten years: how do societies deal with gross human rights violations after the end of violent conflict? The main purpose of this symposium was to critically examine the justice and reconciliation process in Norway after World War II, and to draw parallels to similar processes today. By comparing the Norwegian post-World War II experience to more recent cases from Latin America, Africa and Asia, the aim was to establish a platform for discussing how different transitional justice mechanisms - such as truth commissions and courts - may influence the reconciliation process. The symposium featured presentations from a number of leading international and national scholars on the topic in question, including Ruti Teitel (New York Law School, USA), Rachel Sieder (Centro de Investigaciones y Educación Superior en Antropología Social, Mexico), Hugo van der Merwe (Center for the Study of Violence and Reconciliation, South Africa), Victor Igreja (Africa Study Centre, the Netherlands), Marieke Wierda (International Center for Transitional Justice, USA), Hans Fredrik Dahl (University of Oslo), Ingvar Skobba (Telemark Historical Association), Baard Borge (Harstad University College), Stein Ugelvik Larsen (University of Bergen), Martin Mennecke (Royal Danish Defence College, Denmark), Ellen Stensrud (University of Oslo), and Lars Gule (Oslo University College). Welcome note to conference "Roads to Reconciliation: Transitional Justice in Norway and Beyond"